Driving under the influence of drugs is a major public safety issue, and marijuana is the illicit drug most commonly found in the blood of drivers. There is an ongoing challenge to develop valid tests of driver intoxication with appropriate legal limits for blood concentration of THC, a primary ingredient in marijuana, or its metabolites. Due to the chemical profile of THC, its concentration in the blood diminishes rapidly after smoking, but impairment does not diminish as rapidly, rendering THC concentration in blood samples collected after driving an imperfect means for the person’s level of impairment while driving. Researchers at the National Institute on Drug Abuse’s (NIDA) Intramural Research Program and the University of Iowa tested the blood THC concentrations of adults before, during, and after driving in the National Advanced Driving Simulator, to evaluate how changes in THC concentration may affect the interpretation of toxicology results. Results showed that even though blood THC concentrations while driving were at levels that affected driving ability, they had decreased to under commonly used impairment testing thresholds after a few hours. Consumption of alcohol, along with marijuana, did not significantly affect the blood results for marijuana. The findings show that THC concentrations in blood collected after driving may be much lower than concentrations closer to the time of the actual marijuana use, and thus, may not reflect the resulting impairment. In addition, the wide variability in how THC is metabolized by frequent users versus infrequent users makes accurate testing challenging. Current testing methods do not necessarily accurately reflect impairment. Development of improved methods for assessing cannabis intoxication in real time will be important for giving law enforcement officers the tools they need to address drugged driving, and will enable legislators to develop more accurate impairment guidelines. For a copy of the abstract, “Effect of Blood Collection Time on Measured Δ9-Tetrahydrocannabinol Concentrations: Implications for Driving Interpretation and Drug Policy” published in Clinical Chemistry, and co-authored by Drs. Marilyn Huestis and David Gorelick from the National Institute on Drug Abuse, go to http://www.clinchem.org/content/62/2/367.abstract. NIDA. "Research on THC blood levels sheds light on difficulties of testing for impaired driving." 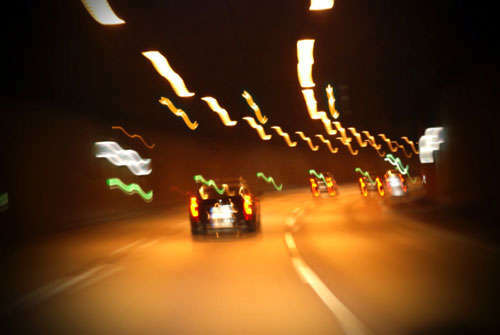 National Institute on Drug Abuse, 28 Jan. 2016, https://www.drugabuse.gov/news-events/news-releases/2016/01/research-thc-blood-levels-sheds-light-difficulties-testing-impaired-driving. NIDA. Research on THC blood levels sheds light on difficulties of testing for impaired driving. National Institute on Drug Abuse website. https://www.drugabuse.gov/news-events/news-releases/2016/01/research-thc-blood-levels-sheds-light-difficulties-testing-impaired-driving. January 28, 2016.